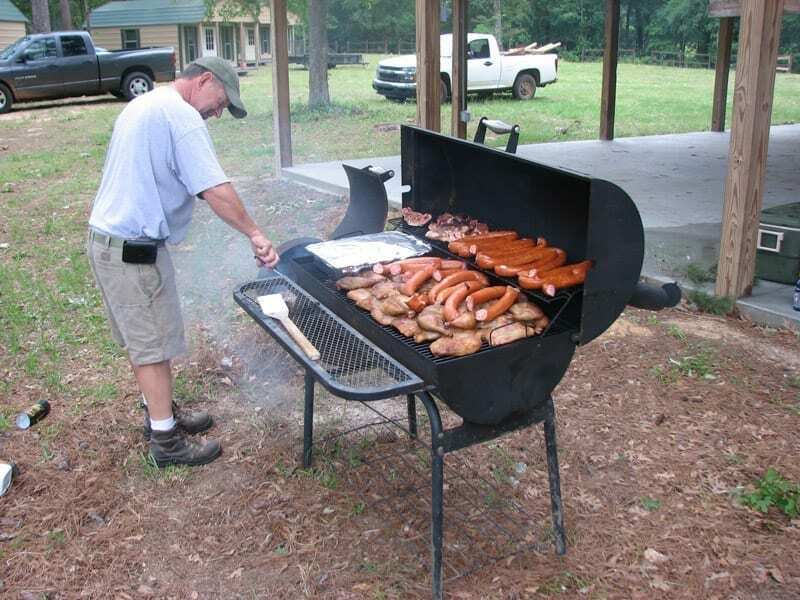 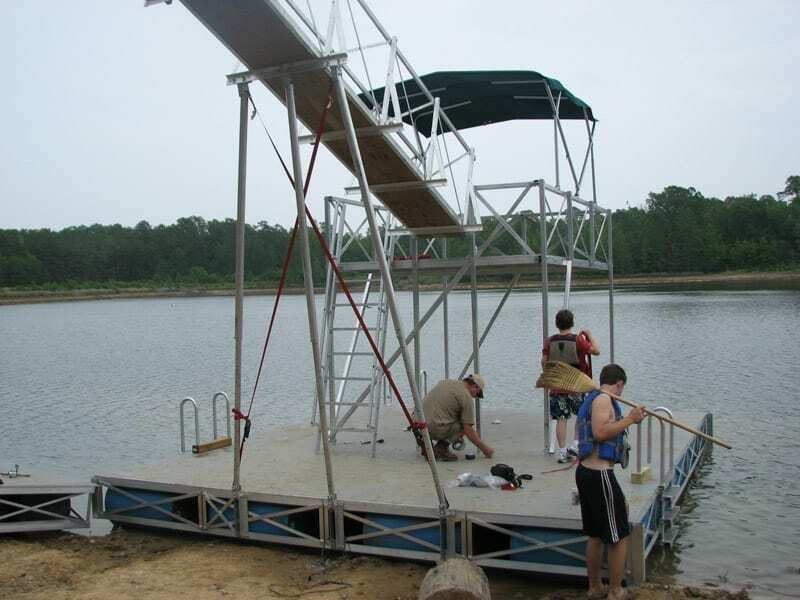 In March of 2011 we received an interesting phone call from a Boy Scout camp in Louisiana. 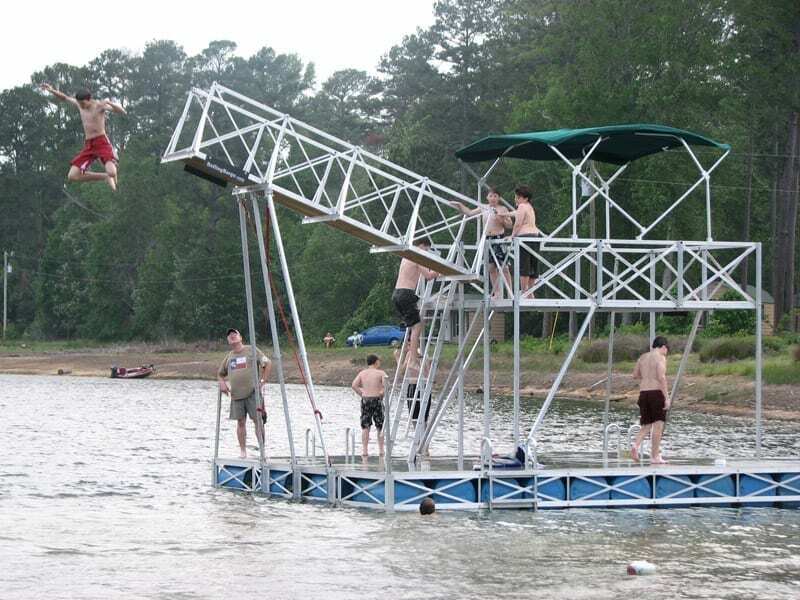 They were looking for a giant floating dock system that would include an upper deck and a 14’ high dive. 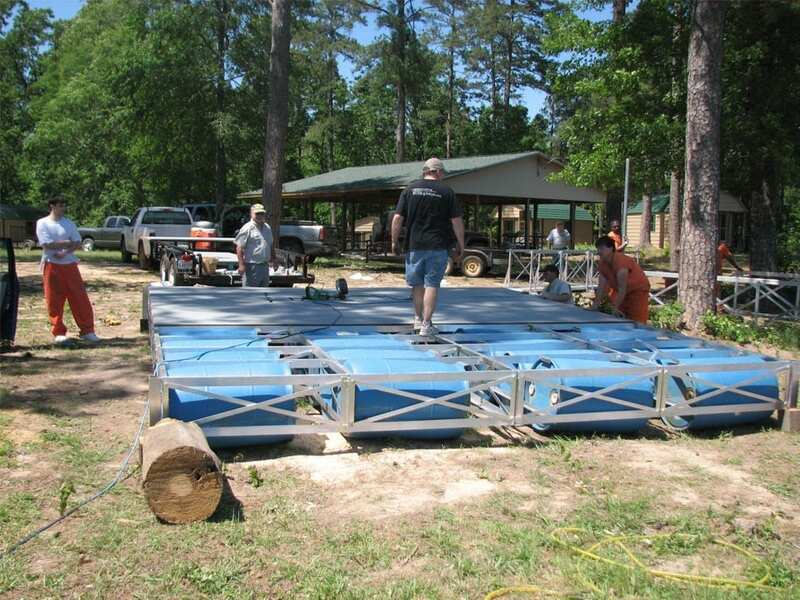 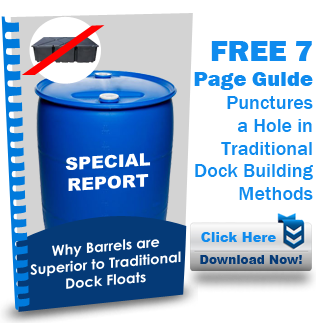 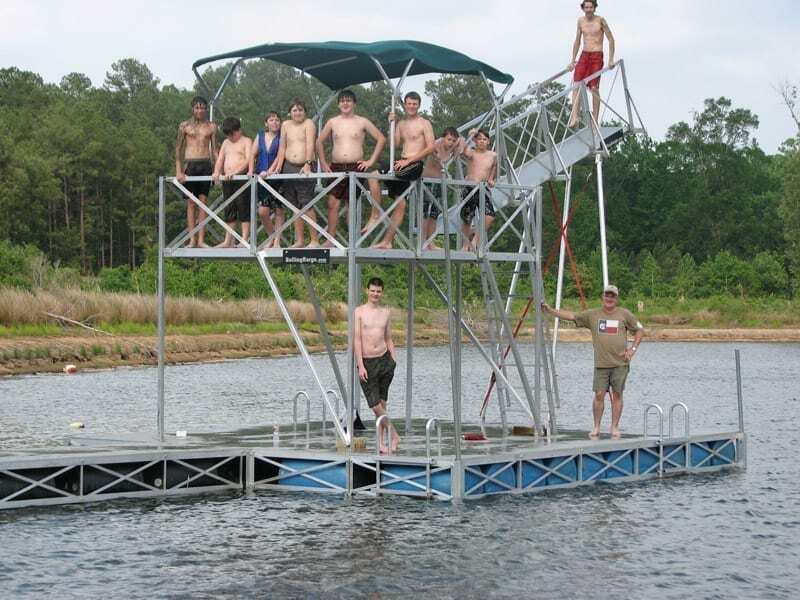 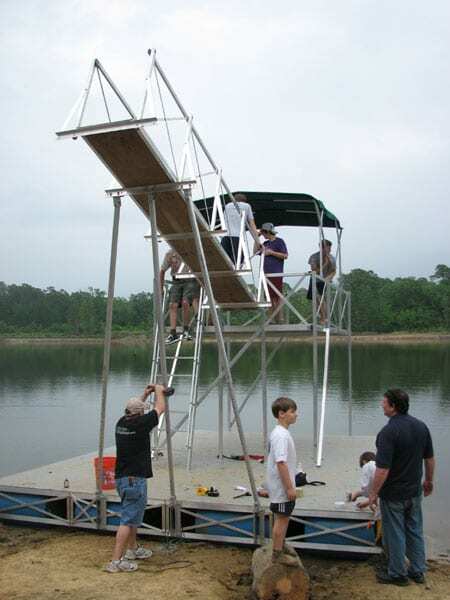 We ended up designing a 20×16’ floating dock with a 32×4’ floating gangway and a 12×8’ upper deck. 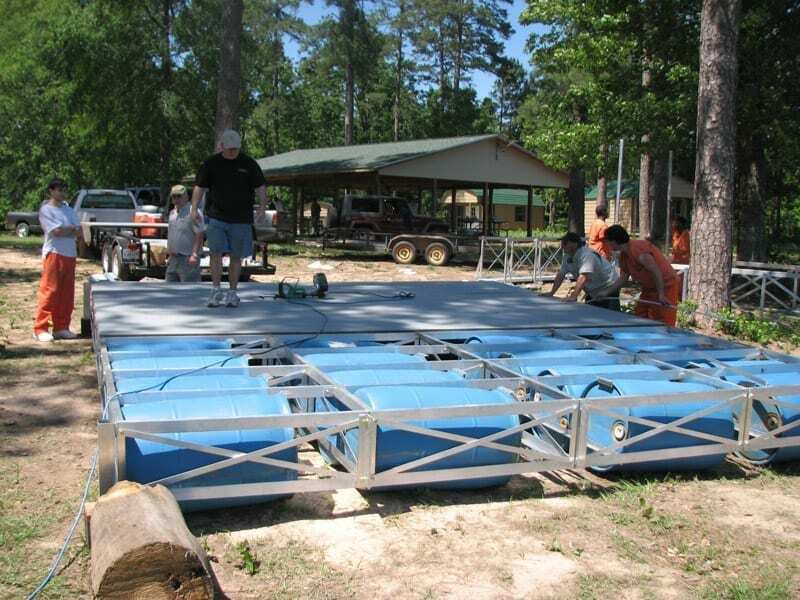 We shipped the entire kit including the frame, fasteners, and poly over plywood decking. 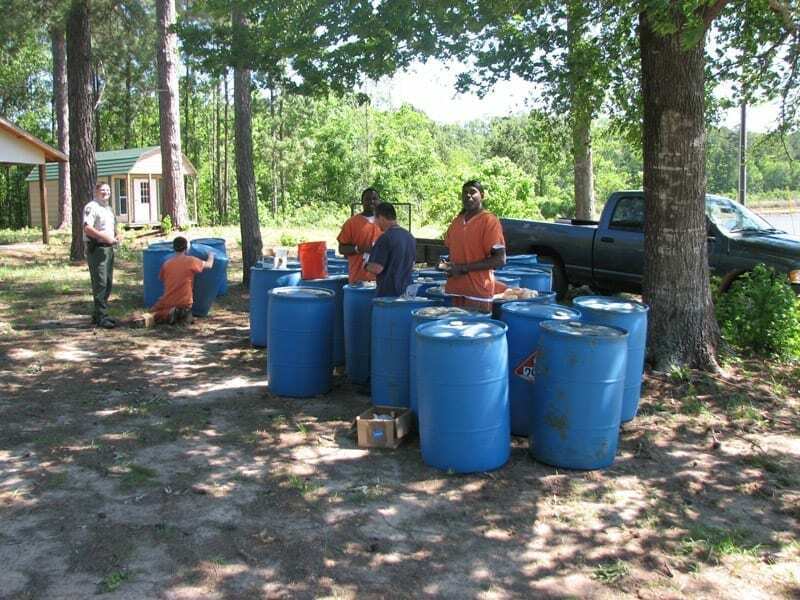 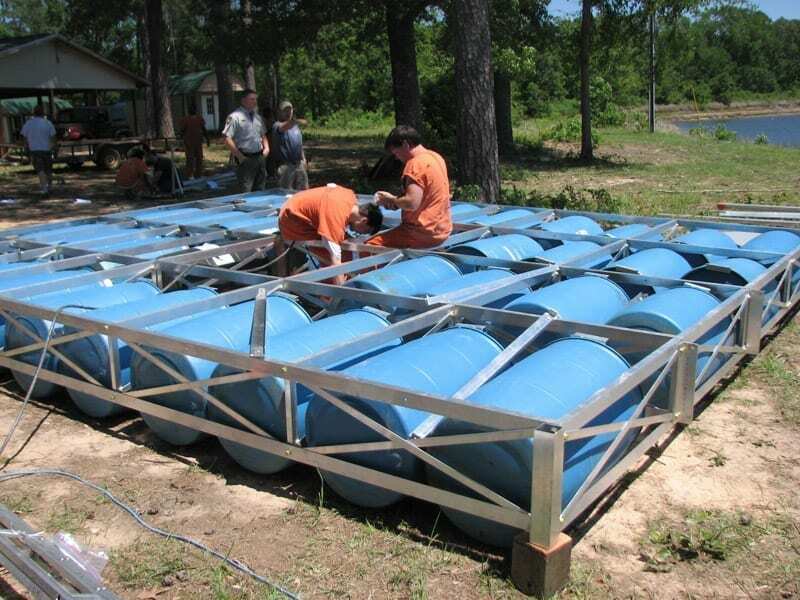 The Boy Scouts provided 34 fifty-five gallon plastic drums. 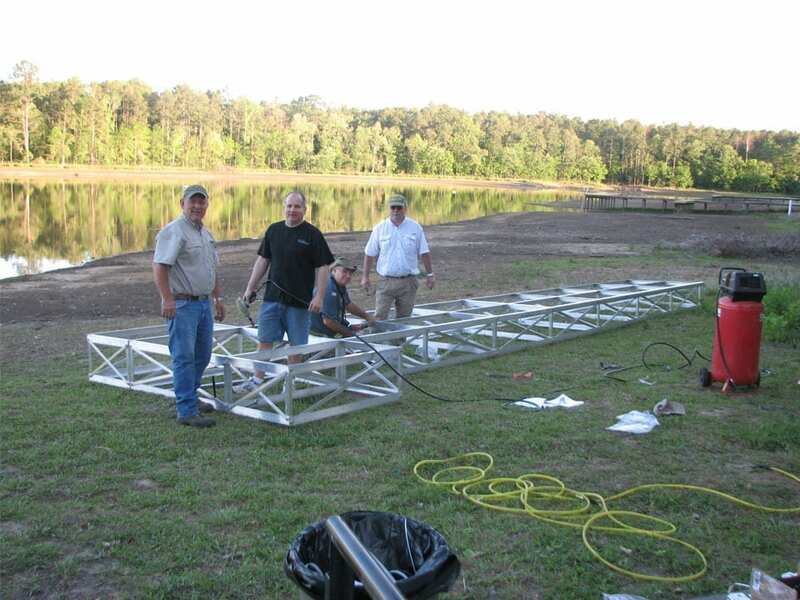 With two of our people and a dozen or so of theirs, we assembled and launched the entire structure in less than three days. 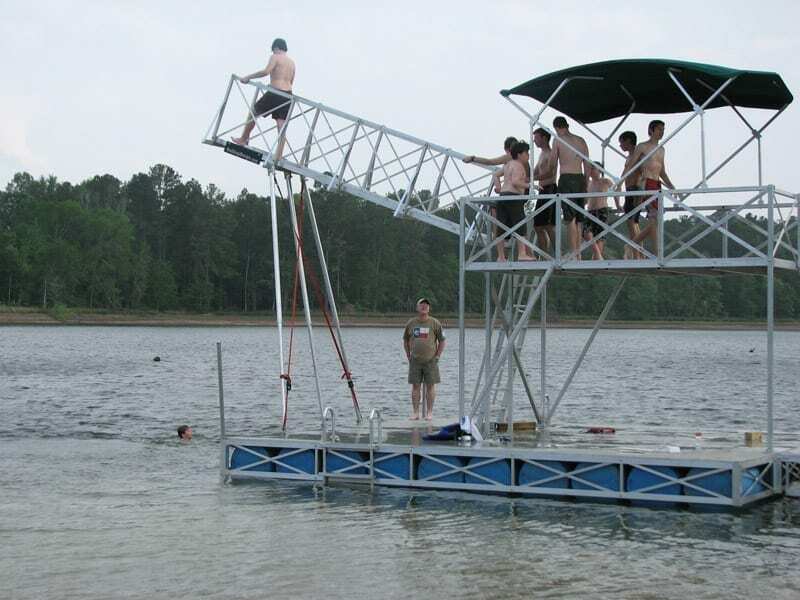 As lake levels change, the platform can be towed around the lake with a small electric boat to position the high dive over safely deep water.